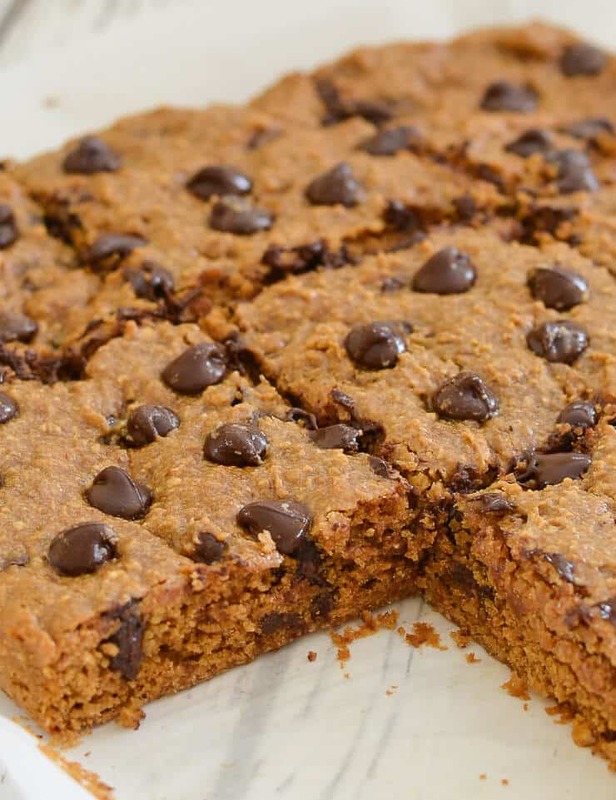 These Oatmeal Chocolate Chip Cookie Bars are perfectly soft & chewy, made healthier with oat flour & no oil, and they are absolutely delicious! It’s a chocolate cookie kind of day, but not your regular “cookie” shaped cookies. These bad boys are breaking the rules and taking bar form! SSSHHH! DON’T SAY THE “C” WORD! Cookies in our house are known as c-double o-k-i-e-s’s. The word “cookie” is banned because if our dog Chester hears it he goes crazy thinking that I am going to make him some of his Peanut Butter Banana Dog Cookies or his Sweet Potato Dog Cookies. My life would not be worth living if he heard the word and I did not produce said c-double o-k-i-e-s’s. It’s a good job he can’t read as otherwise I would be in trouble right now. ???? 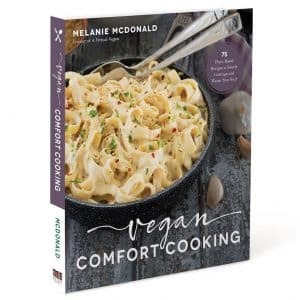 Since I reviewed Ashley Melillo’s book Blissful Basil back in January, I have been gradually, (in what little time I have for cooking other people’s recipes), working my way through the rest of the book. That Power Bowl recipe I shared has been on regular meal rotation. It’s so good! 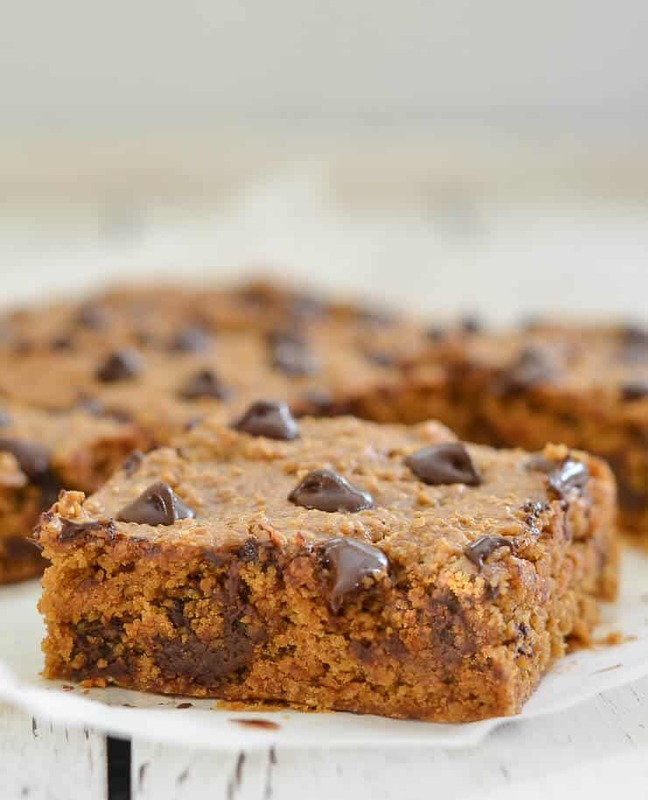 One of the recipes we have all really enjoyed from the book are the Chocolate Chip Coconut Oil Cookie Bars and this recipe has inspired me to create my own completely oil-free Oatmeal Chocolate Chip Cookie Bar recipe. These cookie bars are so easy to make. Just throw all of the ingredients into a food processor and have them baking in the oven in minutes! Do not taste the batter during the process or it will not make it to the oven ???? 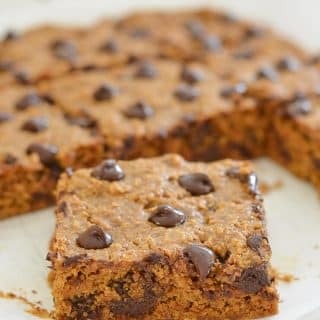 The resulting Oatmeal Chocolate Chip Cookie Bars are almost like a cross between cookies and cake. They are soft, sweet, slightly chewy, with lovely almost caramel undertones from the coconut sugar. They are absolutely amazing while still warm from the oven. They are also great a few days later as they dry out a little and become more traditionally cookie like. A MUST TRY SERVING IDEA! I love these Oatmeal Chocolate Chip Cookie Bars at all stages of the game but you must try serving a freshly cut piece of warm cookie bar with a huge dollop of vanilla ice-cream. Seriously…..it is what dreams are made of ♡. If you give these cookie bars a try, please let me know what you think in the comments below or share a picture on Instagram. I love to see! 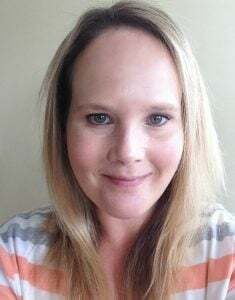 I am @avirtualvegan and if you use the hashtag #avirtualvegan it will make extra sure I don’t miss them!. 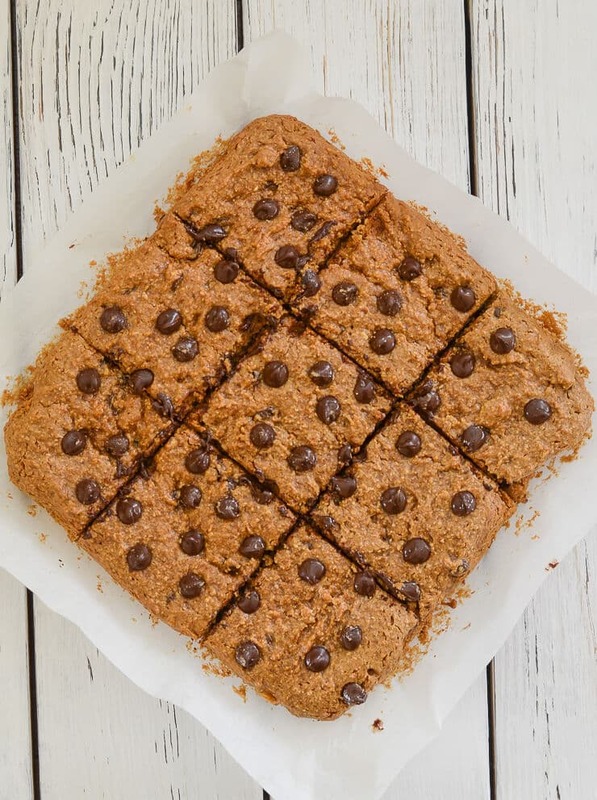 These Oatmeal Chocolate Chip Cookie Bars are perfectly soft & chewy, made healthier with oat flour & no oil, and they are absolutely delicious! 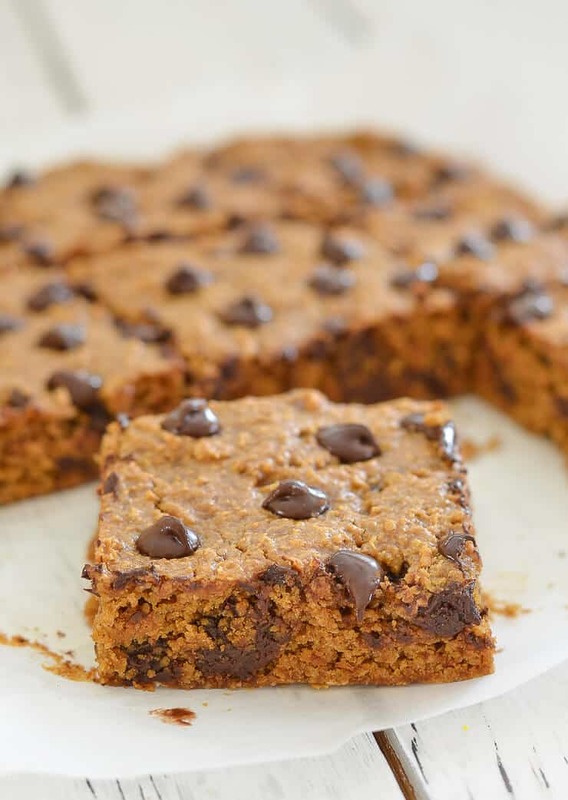 (Recipe adapted from the Chocolate Chip Coconut Oil Cookie Bars in Ashley Melillo's book Blissful Basil). Preheat oven to 350°F and line an 8 x 8 pan with baking parchment, leaving enough paper around the edge to act as a handle. A little bit of oil under the parchment paper helps to keep it in place when you are spreading out the dough later but isn't essential if you don't have any). Add the oats to a food processor or very powerful blender. Process until they are a flour like consistency. Add all of the other ingredients except the chocolate chip and process until smooth, scraping down the sides once about halfway through. Stir through the chocolate chips then spoon the batter into the prepared tin. Spread the batter out evenly so it reaches the sides. It will be sticky and resist but that's normal. I find a silicone spatula or the back of a metal spoon work well for this. If you want to make them look a little prettier scatter a few extra chocolate chips over the top so they can be seen once baked. 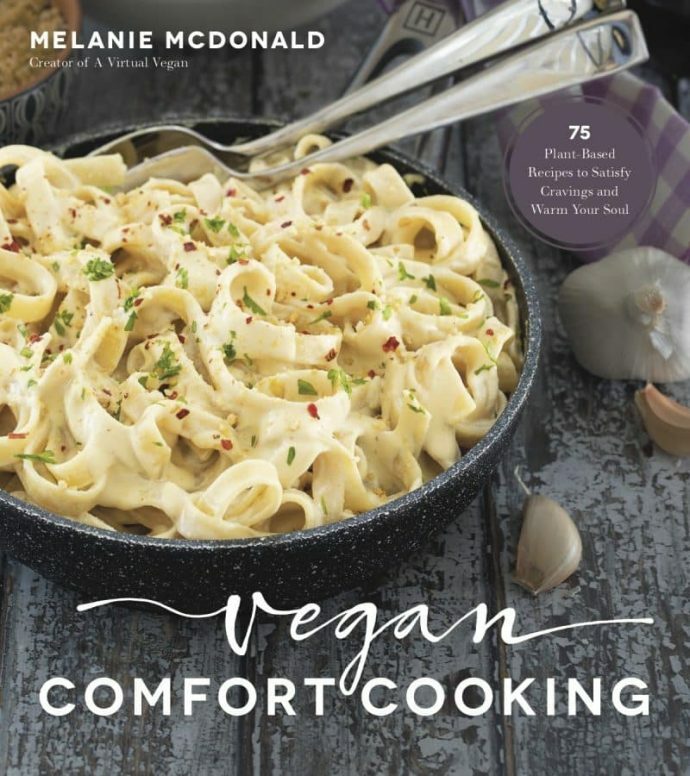 Bake in the preheated oven for 25 minutes. Leave to cool in the tin for at least 15 minutes before trying to remove. Once completely cool, cut into pieces. A pizza cutter or a long sharp knife do a great job of this. These bars are awesome served warm straight from the oven but they will fall apart when you try cutting them. If you can live with that then go for it! If you want to serve a bar or two warm at a later date, my son recommends microwaving them for 20 seconds.